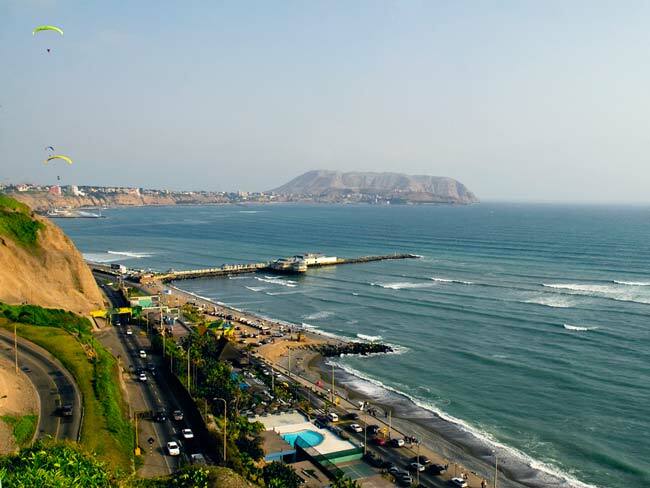 Built on a desert next to the Pacific Ocean, Lima is a place of wonderful contrasts that brings you to the heart of Peru. As the nation’s capital, Lima is the Peruvian center of commerce, culture, and food. Gastronomy has defined the country, whose people are extremely proud of their delicious and unique cuisine. Wherever you are in the city, suspiros a la limeña, ceviche, and aji de gallina will be just around the corner. 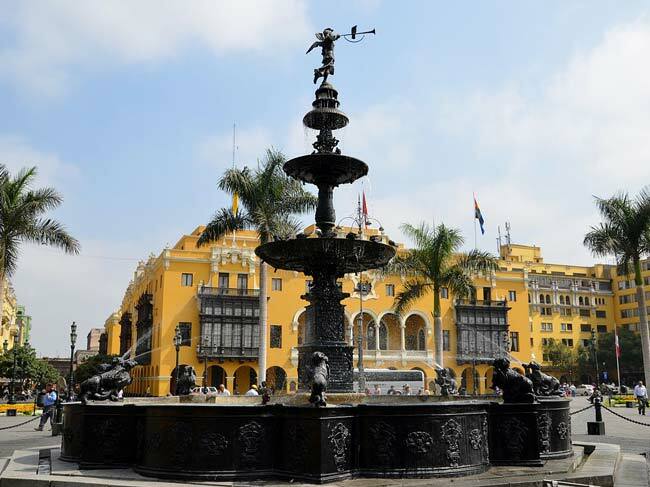 Besides delighting your taste buds, Lima has a collection of wonderful museums, churches, and theaters where you can learn about the history and culture of the country. It also has beautiful green spaces, cliffs overlooking the ocean, and a bustling nightlife that will fit every kind of traveler. 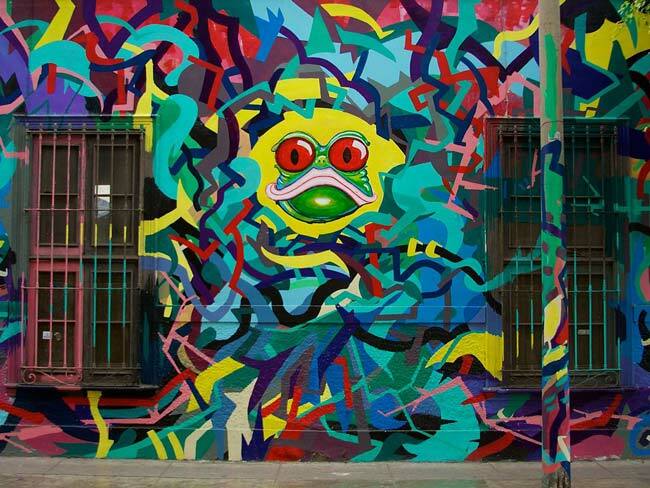 From bohemian bars to pre-Incan ruins to modern high rise buildings, Lima seems to have multiple identities that coexist with each other to make one of the most exciting cities in Latin America. With gorgeous colonial architecture and some of the city’s most important landmarks, this neighborhood should not be missed. 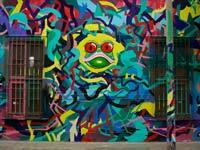 Wearing its UNESCO World Heritage Status proudly, Lima’s historical center lives up to the hype. This is where the Spaniards first started building the city that has now explosively expanded into its surroundings. Besides its colonial charm, the center is also the home of many of the city’s most iconic landmarks. From the city’s main square, the Plaza de Armas, you can see the Palace of the Government, the San Francisco Basilica, and the Lima Cathedral. Standing tall and proud, these landmarks are kept almost intact so as to honor the history of the capital. As you walk around the center and explore its markets, small streets, and opulent churches, it quickly becomes apparent that Lima was the prefered city of the Spanish Empire. where? If taking a cab, you can simply tell your driver to take you to the historic center. If you want to take public transport, take the Metropolitano to Estacion Central, Colmena, or Jiron de la Union. A single ride costs less than $1. The Jiron de la Union and the Plaza de Armas are perfect starting places for exploring the neighborhood. when? You can go to the historical center at any time, but if you have a specific landmark in mind, you should research its hours of operation. It is also advisable to be cautious and avoid the area at certain hours, when there are not many people around. £$€¥ You can spend as much or as little as you’d like. The churches usually don’t have a fee, but if you want to visit the catacombs at the Church of San Francisco, it costs $2. If you plan to visit a market or buy souvenirs, you should bring a sum that corresponds to your needs. Chic, green, and stylish, Miraflores is the district where you’ll see the modern side of Lima. 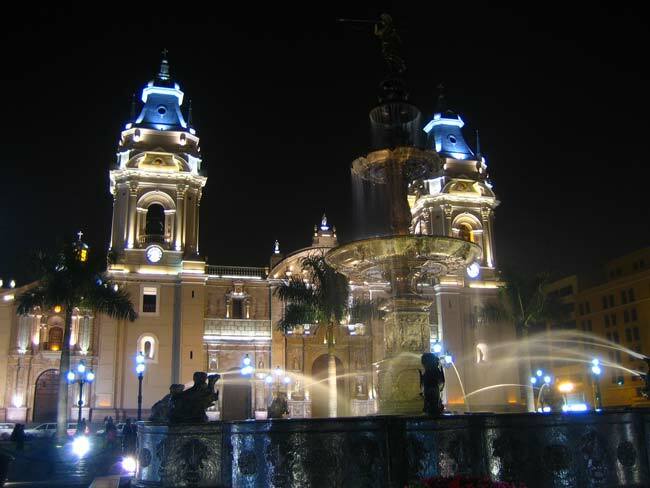 The Miraflores district is one of the most popular in the city for locals and tourists alike. It is where you will find high-end shops, luxury hotels, and world-famous restaurants. Here you will find an international crowd mingling with the permanent residents of the neighborhood. While tall buildings compose the landscape, this is also the green district. Large parks like the Kennedy Park and the Park of Love bring natural tones to contrast the greyness of the cityscape. The malecon, a long walkway that overlooks the coast, is the perfect place to walk, bike, and skate. You can do everything from relax while you read a book, to sit at a fine restaurant, to go parasailing. 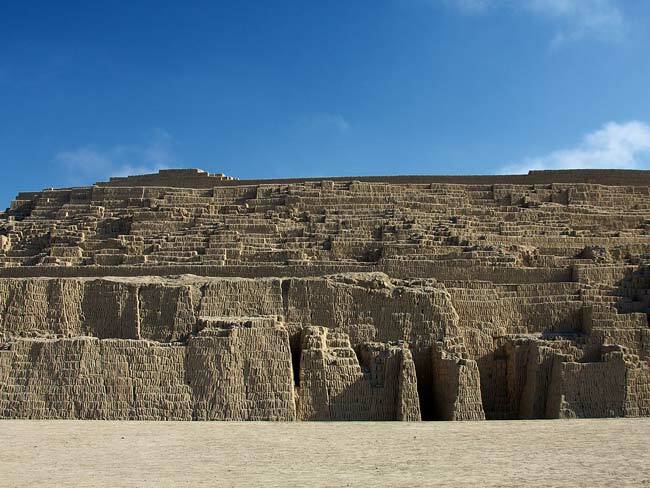 If you aren’t convinced of Miraflores’ dynamic nature yet, head to Huaca Pucllana. 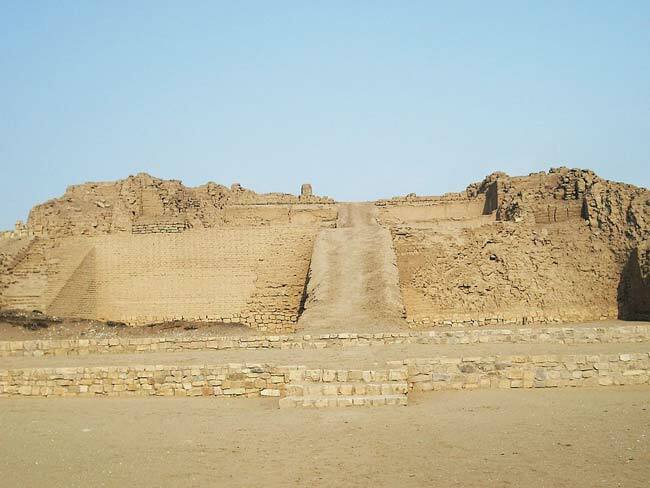 These pre-Incan ruins were a ceremonial site for the God Pachacamac. After you’ve explored the history of the city, you can head out and admire some of the best nightlife it has to offer. where? The easiest way to get into Miraflores is by taxi. Fares are low and advantageous to tourists. Because of the size of the neighborhood, however, it is best if you pick a specific place from where to begin to explore it. The Kennedy Park is always a good starting point. To access the park on Metropolitano, get off at the Ricardo Palma station. when? Miraflores is a great place to visit at any time of day, since there is always something to do. Days and afternoons are perfect for sightseeing, adventure sports, and strolling through the parks. Nights provide opportunities for fine dining and nightlife. £$€¥ While the amount of money you spend can vary drastically, this is an expensive neighborhood. As such, you should bring enough money to indulge in everything it has to offer. 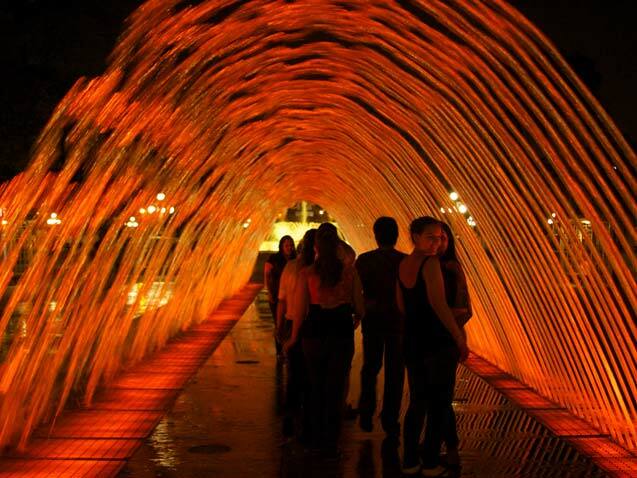 As the largest fountain complex in the entire planet, the Circuito Magico de Agua is Lima’s new and exciting attraction. 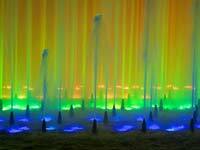 What was once an utterly forgettable park has been transformed by city officials into a gorgeous water show. 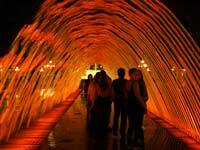 Though nobody really expected this project to be significant, it has become one of the most visited places in Lima. The extensive fountain complex is made up of 13 individual fountains, all of which have distinct names and shapes. At night, they are lit up in a pale rainbow of colored lights, creating a spectacle that is surprising, romantic, and unique. When they are not decorated by colored lights, the fountains stand as beautiful as ever, and continue to invite visitors with their charm. 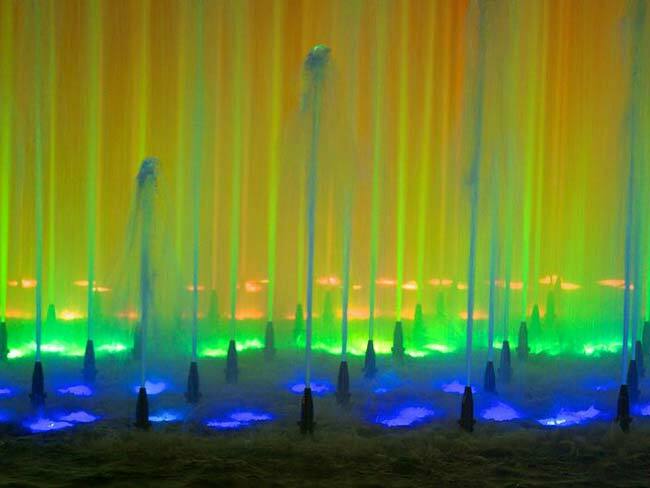 Its impressive size has actually earned the Magic Circuit Water Show a place in the Guinness Book of World Records. where? 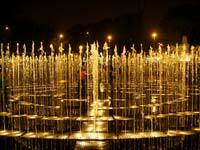 The fountains are located at the Park of the Reserve in downtown Lima. 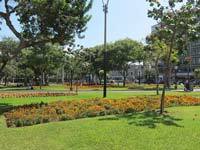 It is situated between Arequipa Avenue and Paseo de la Republica. when? The fountain complex is open from Wednesday through Sunday from 4:00 p.m. to 10:00 p.m. If you go early, make sure that you stay until sundown so you can truly appreciate the beauty of the circuit and all its colors. £$€¥ While entrance to the Park of the Reserve is free of charge, you have to pay $1.50 to see the Magic Circuit. 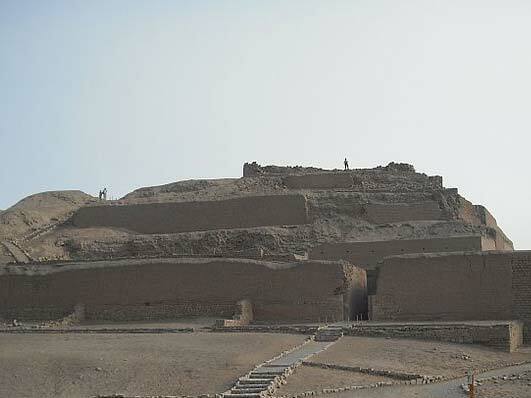 Just 30 kilometers from the city, the Temple of Pachacamac is one of the most impressive archeological sites in the country. 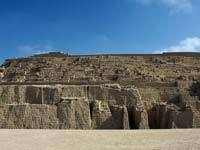 Dedicated to the “Maker of Worlds” (Pachacamac) this pre-Incan temple complex was built around 200 AD. Expanding 600 hectares, it is composed of pyramids and temples devoted to Pachacamac, but also to other deities like the Moon and the Sun. The pinkish-grey color of the ruins blends perfectly to the arid desert that surrounds them. It also contrasts the ocean that can be seen from the top of some of the structures. A visitor’s center and cafe make the experience more pleasant for families and groups, as it is nice to enjoy a meal away from the bustle of the big city. In fact, the ruins are one of the most popular day trips to take from Lima, as they offer a radical change of environment and pace from the metropolis, without being geographically alienated from it. where? The most convenient way to get to the ruins is to take a tour. Offering transportation as well as a guided visit, they usually cost around $115 per person. 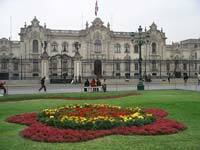 You can also take a local bus from central Lima. Ask around and flag down a bus with signs to “Pachacamac” and ask the driver to drop you off at the ruins. This will be cheaper, and you will get a local experience, but be prepared to stand and be squished by the crowd. when? The ruins are open Tuesday through Saturday from 9:00 a.m. to 4:00 p.m, and Sundays from 9:00 a.m. to 3:00 p.m.
£$€¥ Besides your transportation costs, entrance will be $10. You might also want to bring money for lunch and souvenirs. This cool bohemian hangout offers breeze views and an exciting nightlife. This hip neighborhood has long been a favorite hangout for the alternative crowd of the city, which is mostly made up of students. 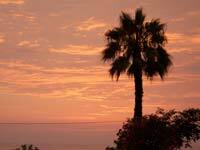 Barranco is full of cool bars and great restaurants that serve local food at prices locals wouldn’t complain about. You’ll find this neighborhood constantly alive and kicking, with new places to discover every time you head there. Its convenient location gives it gorgeous views of the water, and adds to its unspoken charm. One of the best places to visit in Barranco is the Bridge of Sighs (Puente de los Suspiros). This wooden bridge crosses over a beautiful stone walkway known as the Bajada de Baños. As many streets around the neighborhood, the bridge is surrounded by great little bars and restaurants that will give you an insight into local life. where? Since this large neighborhood has so many interesting places, your best bet is to pick a place and take a taxi to there. If you want to start at the Bridge of Sighs, ask to be taken to the Paseo Chabuca Granda. when? 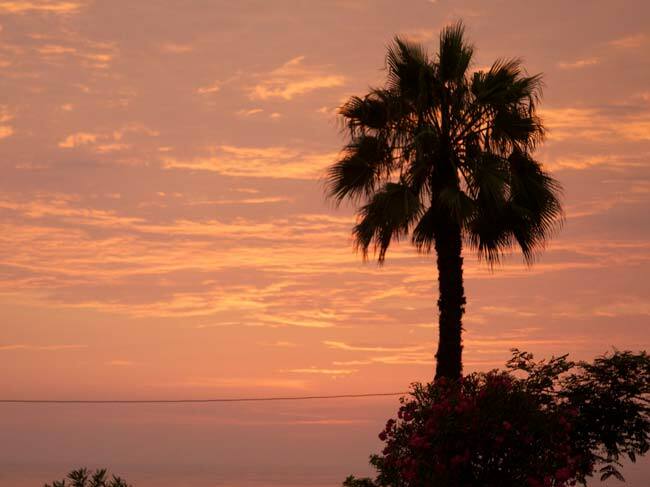 Barranco is a great place to visit at any time of day. Like in Miraflores, you can shop and walk around during the daytime, and head out to enjoy nightlife and gastronomy during the nighttime. Like in most places in the city, it is not advisable to walk about empty streets at night. £$€¥ You can do Barranco without spending any money at all, but if you want to get to know the neighborhood, take enough money to stuff your face with Peruvian food, get a couple of cerveza Cusqueñas, and go dancing.